Monday the 9th of April John Bolton will take up his post as National Security Advisor. As this carnival roller coaster ride that is the Trump Administration has veered further and further off the rails, those few ‘moderate’ Republican backers who haven’t completely abandoned him have felt more and more hard pressed to figure out strategies with which to defend his chaotic actions. Columnist Bret Stephens – whose own recent hiring by the New York Times was met with stunned acrimony by many loyal Times readers – pulled out a reliable right-wing trope to defend, or perhaps to distract from, Trump’s latest disaster in the making, the announcement that his third National Security Advisor would be John Bolton. He attacked the United Nations. [“JohnBolton Is Right About the UN”; March 23, 2018]. In doing so, he presented a laundry list of accusations about the U.N.'s actions and responsibilities. Much of it – like most effective propaganda – is based on a kernel of factuality that is then distorted beyond recognition. A bit of it is unfortunately accurate. But all of it promotes a series of misrepresentations and misunderstandings that’s been strategically promulgated by U.S. conservatives for decades, and that’s now shared by too many Americans. Because, unrebutted and unchallenged, propaganda works. and the U.N.’s supporters will need to find stronger backbones and learn to counter punch. Before addressing the points in Stephens’ thinly-researched and poorly-reasoned article, let’s take a look at the person whose views he’s defending. We’re hearing much about John Bolton and his role in the Iraq War, and his views on bombing Iran and North Korea. We’re also hearing that U.S. Secretary of Defense James Mattis is unsure if he can work with him because of his extreme views. The irony being that among the Secretary’s traits that had appealed to Donald Trump was his hawkish reputation as ‘Mad Dog’ Mattis. But let’s also remember at John Bolton’s full record. 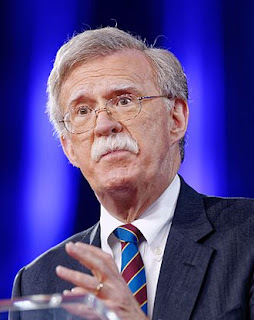 As Ambassador to the United Nations under the George W. Bush administration, Bolton played a key supporting role in a series of disastrous U.S. international policies. Principal among those was the invasion of Iraq, which has cost tens of thousands of lives. Since he is so actively interested in attacking and bombing other countries, it’s relevant to remember Ambassador Bolton’s own war record. He was eligible for the US military draft at the height of the Vietnam War, in 1969, but instead joined the Maryland Army National Guard which wasn’t called to serve because the draft provided sufficient numbers of mostly poorer, non-college boys. In his 25th Yale reunion book he later wrote, "I confess I had no desire to die in a Southeast Asian rice paddy. I considered the war in Vietnam already lost.". That was seven years before Richard Nixon and one of Bolton’s presumable diplomatic heroes, Henry Kissinger, finally pulled the U.S. out of the war. (More on this later.) The technical term for such political behavior is ‘chicken-hawk.’ There is none so zealous as one over-compensating for his own weaknesses. What does that mean? That the UN didn’t report on the war crimes committed? It did. That the Security Council didn’t empower the UN to do more? Well, one might read the U.N. Charter, which gives the Permanent Members of the Security Council a veto. This was negotiated by governments and though it arguably needs updating, it isn’t the fault of “the UN” that it was not given a stronger hand to intervene in Aleppo. It is the fault of the Permanent Members of the Security Council. Also remember that the actions that led to tragedy in Aleppo significantly include the failed US policies in the region. Ones that Ambassador Bolton actively supported in the Bush Administration. 2. Regarding Haiti. He is sadly right that “U.N. peacekeepers caused a cholera epidemic in Haiti that so far has taken 10,000 lives”. And yes, it did take the U.N. six years to acknowledge responsibility. And the AP was correct to expose the “nearly 2,000 allegations of sexual abuse and exploitation by peacekeepers and other personnel around the world”. But as Philip Alston, the UN special rapporteur for poverty and human rights, has pointed out it was the US which pushed hardest to cover up the source of the cholera and tried to stop the Secretary General from taking responsibility. The US must still agree to allow a mechanism to be set up to settle the claims of those affected. So, in each case the issue becomes an issue of prosecution in the country where the soldiers have come from. And as representatives of the U.S. government past and present might recall, some countries are very particular about whether their own troops can be prosecuted by any country other than their own, for crimes in another country. There is in place now a vetting system for peacekeepers which has been checking at a pace of 8,000 every month since 2017. This in no way reduces the impact that any sexual abuse or harassment has had on the victims, but it does represent recognition and progress, which any article about a problem should also acknowledge. 3. “In Rwanda in 1994, U.N. peacekeepers all-but abandoned the country at the outset of genocide that took at least 500,000 lives”. This is a bigger and more tragic issue discussion than space here allows, and which has been already extensively analyzed, that involves the willingness or unwillingness of member states – including the U.S. – to take action and send their own troops. For the record, the U.N. did save lives in areas it controlled. The request for an additional 5,000 troops fell on deaf ears. In fact, a number of governments including the U.S. wanted the whole operation closed down before the genocide. So, without the U.N. it could have been even worse. Again, Stephens would do better to do some basic research. It’s accurate that the UN failed to deter the attack, but in part that was because the Dutch battalion in place was insufficient (400 soldiers). The Bosnian Serbs had also placed every foreign individual or U.N. staff they had seized at each of the strategic sites, so that NATO was inhibited from aerial assaults. The UN did negotiate the evacuation of 25,000 woman out of the area. The International Criminal Tribunal for the former Yugoslavia , the U.N.’s principal judicial organ in 2017 convicted Ratko Mladic for crimes including genocide for his role in Srebrenica. He was sentenced to life imprisonment. The UN implemented a series of actions that ensure it learns and puts more effective policies into place. 5. The UN budget: Stephens argues that the UN budget of $49 billion is not a shoestring. Again, he really doesn’t do his research very well. 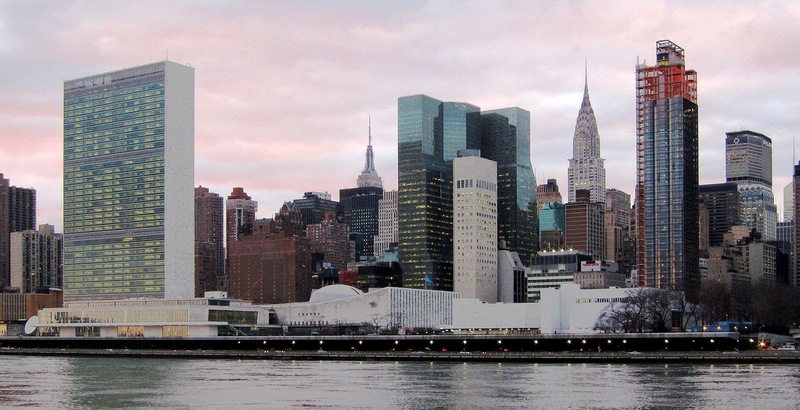 This U.N. budget isn’t the core budget but includes all of the U.N. Agencies, Programmes and Peacekeeping forces. It therefore includes the efforts to help feed, clothe, house, and educate over 1 billion human beings living in extreme poverty, in over 120 countries. To put that into perspective, the budget of New York City, with less than one tenth of 1 percent as many people, is $88 billion. The UN’s regular core budget for 2018-2019 is far less – $5.4 billion (which is actually reduced from 2017-2018’s budget). The budget of New York City for education is $25 billion a year. Much of the additional spending comes from increased peacekeeping and humanitarian costs to address the refugee crisis. 13.5 million Syrians have fled, requiring urgent assistance. As we know all too well, dealing with refugees is a challenge few nations have been willing to accept. In 2007 in the aftermath of the Iraq War there were nearly 4 million refugees. At that point the U.S. had accepted only 69 people through the granting of refugee status. Most have been given homes in neighboring countries or in Europe. We would remind Mr. Stephens that much of this flow of human beings grew out of the results of the U.S. invasion of Iraq. Based, as we now know, on incorrect intelligence and the militant advocacy of people like John Bolton. We could note that in many areas of liability law those responsible for causing a problem are legally responsible for fixing it. (In the international environment arena the concept is known as ‘polluter pays’.) Perhaps the international community should suggest that any increases in costs for assisting refugees should be paid for by the United States if they resulted from failed U.S. international policy or actions. 6. Regarding Iran being a member of the Commission on the Status of Women. 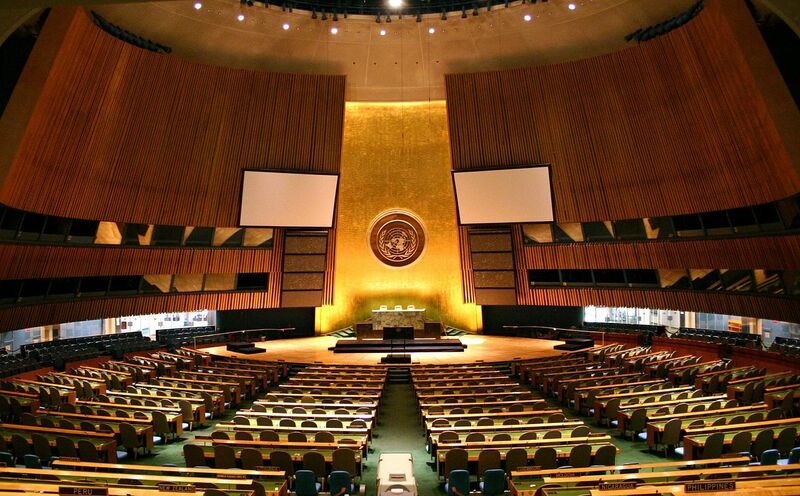 It might be worth knowing how countries become members of a UN Commission. They are selected by their respective regional groupings of nations. So, Iran was ‘elected’ by the U.N.’s Asia group of nations. You might not like the election of Iran, but it was done by a designated group of member states. A bit like the electoral college in the US for Presidential elections.That brings us to the WHO. It was indeed a stunningly stupid decision by the WHO Director General to appoint Zimbabwe’s Robert Mugabe as a good-will ambassador. Full stop. It was rescinded. That is not to say there aren’t significant areas where change is required. There are now two reports published in the last nine months that have radical reform proposals being considered by member nations that were produced by the Secretary General. 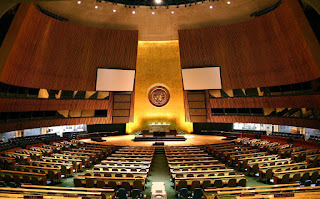 There have been – and certainly will be in the future – times that the U.N. should be criticized. But that requires an honest assessment of the problems and an understanding of the immense challenges the international community is faced with. Because in a globalized world when the challenges are growing greater, not less, the world needs a strong, transparent, accountable, flexible and broadly supported United Nations. A closing note on the issue of the Vietnam War. Perhaps as we reflect on the 50th anniversary of the events of 1968 it would be useful to remember that when the Nixon Presidential Library released the notes of Chief of Staff John Haldeman (2007) it became clear that U.S. Presidential candidate Richard Nixon was actively working through an intermediary, Anna Chennault, to block the peace talks in Paris that could have ended the war. They succeeded at illegally persuading the South Vietnam government to scupper the peace talks. The result was that under President Nixon, over 35,000 additional US soldiers would lose their lives over the next seven years until the US ultimately left Vietnam in 1975. One of those casualties was not John Bolton, because he didn’t go to Vietnam. But many others did. Those actions by candidate Nixon to sabotage peace talks were a clear violation of the Logan Act, which defines as treason any negotiations with an enemy power by anyone who is not an authorized representative of the US government. We cite this, of course, because the Logan Act and potential treason are again on the table with the current US President. As someone once mentioned, people in glass houses should not throw stones. Felix Dodds is an Associate Fellow at the Tellus Institute and the author of 15 books on the United Nations and politics. His latest is Power to the People. Just a small correction: Mladic was convicted by the International Criminal Tribunal for the former Yugoslavia (ICTY), and not by the International Court of Justice (ICJ) as the article mentioned in point number 4. The ICJ, as I'm sure the authors know, is not an international criminal court. Nevertheless, great rebuttal to Mr. Stephens article!